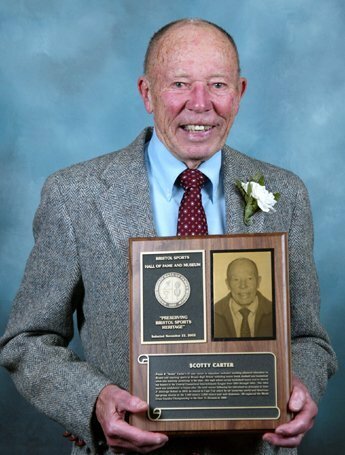 Frank R. ‘Scotty” Carter’s 37-year career in education included teaching physical in Bristol and coaching sports at Bristol High School including soccer, track, football and basketball while also teaching swimming in the state. His high school varsity basketball teams won or shared top honors in the Central Connecticut Interscholastic League from 1953 through 1955. The 1954 team was undefeated in league play. An avid runner, following his retirement as principal of John J. Jennings School in 1978, he retired to Cape Cod where he set numerous world and American age-group records in the 1,500 meters, 3,000 meters and mile distances. He captured the World Cross Country Championship in the Over 75 Division in 1992.